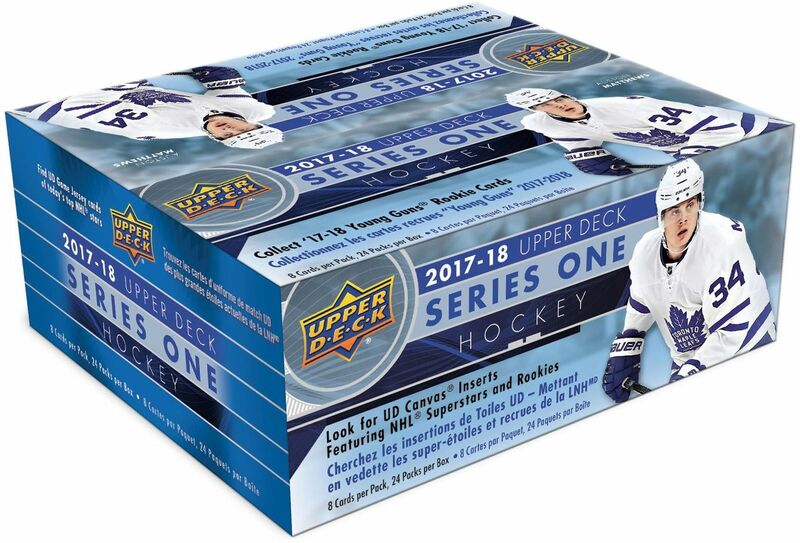 2017-18 Upper Deck Series 1 Hockey released with less fanfare and hype compared to 15-16 and 16-17 S1. 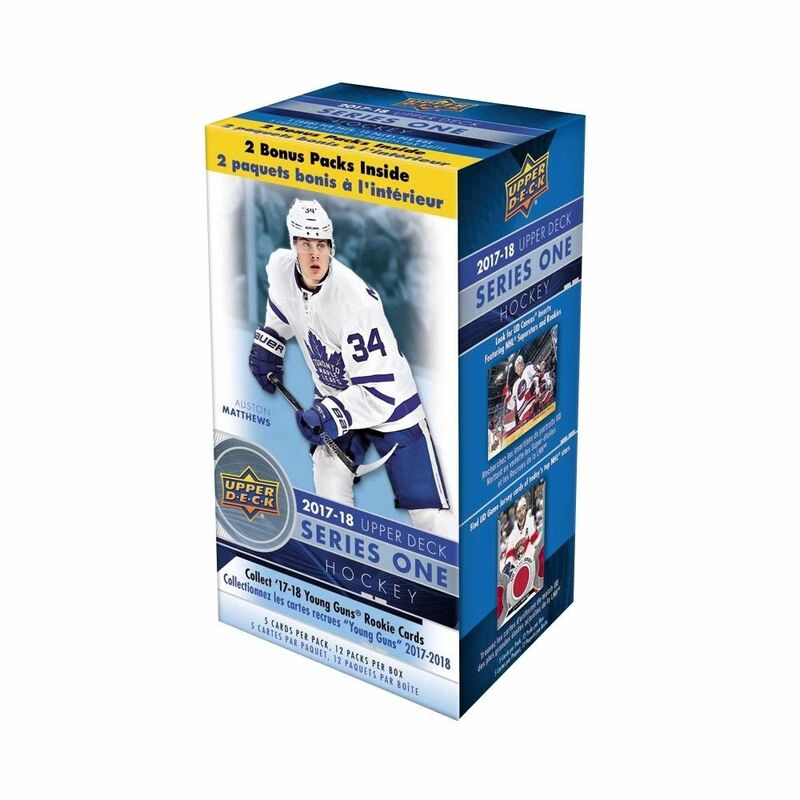 Prior years featured Connor McDavid and Auston Matthews Young Gun rookie cards. 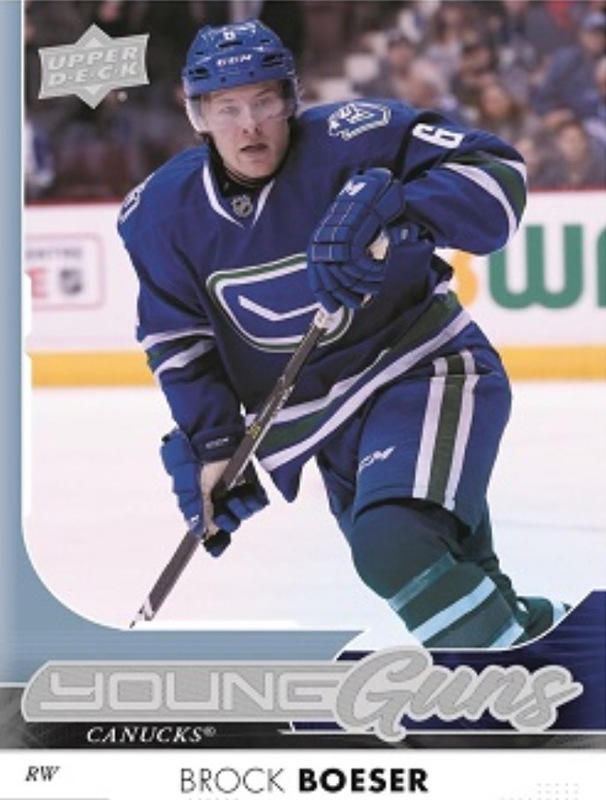 This years Young Guns crop didn’t have the same juice and could take a few years to see what the key rookies will be. Leaf Trading Cards has an autograph exclusive with Nolan Patrick and Nico Hischier which could further throw a wrench in the popularity of the set. Both players will have cards in the product, but no autograph offerings. 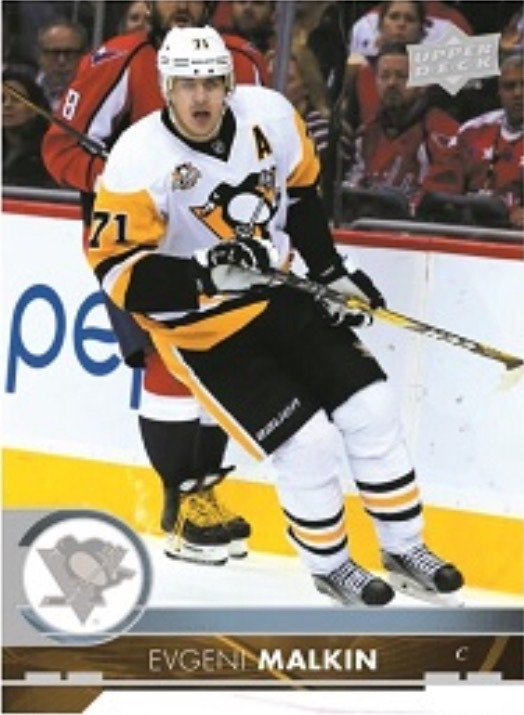 Full 2017-18 Upper Deck Hockey Series 1 checklist below.